Discovery Island Playground fundraiser/concert at Porter Pavilion. 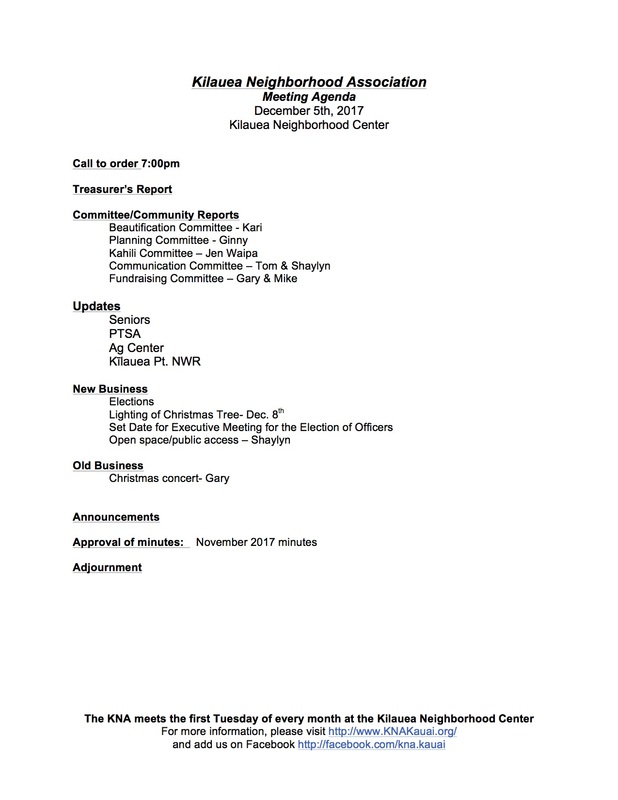 Meeting at the Kilauea Neighborhood Center begins at 7pm Tuesday Dec. 5th. 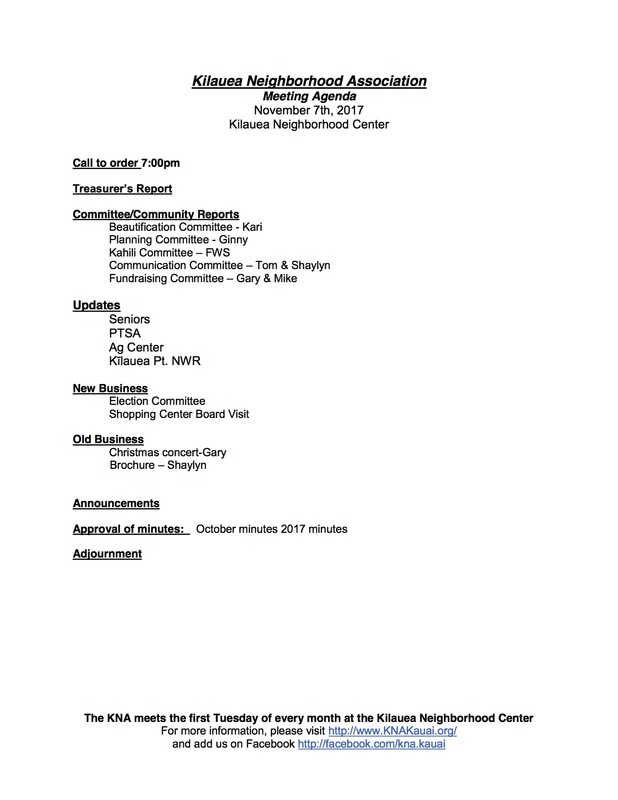 November meeting of the KNA, Tuesday the 7th. This week is your chance to join in a large community/K.I.S.C. (Kauai Invasive Species Committee) effort to attack the number one invasive water plant that has made itself at home in the Kilauea Stream. COME AND GET UP TO YOUR ELBOWS IN IT. PLEASE COME HELP! Not too late to send written testimony for Kauai General Plan in regards to Princeville zoning controversy. Thank you from Team Kauai, our Pony 13 west regional qualifiers.